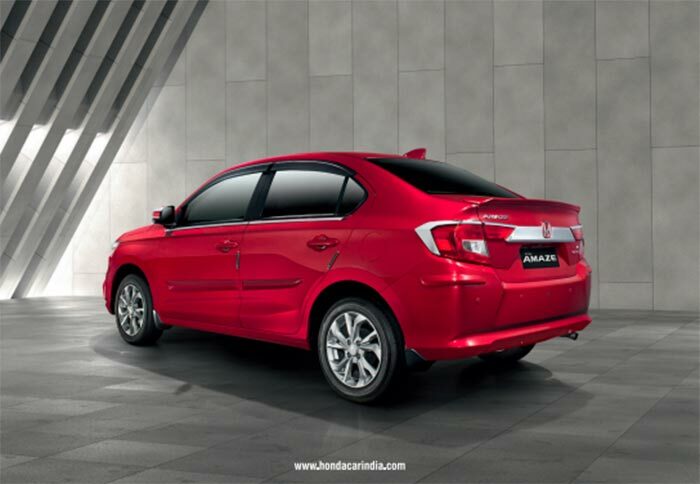 Honda Cars India, India’s popular car manufacturer has introduced 2nd generation Honda Amaze subcompact sedan just few days ago. The all new 2018 Honda Amaze is priced attractively matching that of the old Amaze, with the price range starting from Rs. 5.6 lakh up till Rs. 8.99 lakh (ex-showroom). The new 2018 Honda Amaze now gets CVT gearbox on diesel variants and also features premium accessories. There is a great demand from car owners to customize their cars with accessories . More customers prefer to customise their cars right off the showrooms resulting in authorised dealerships selling accessorised parts. 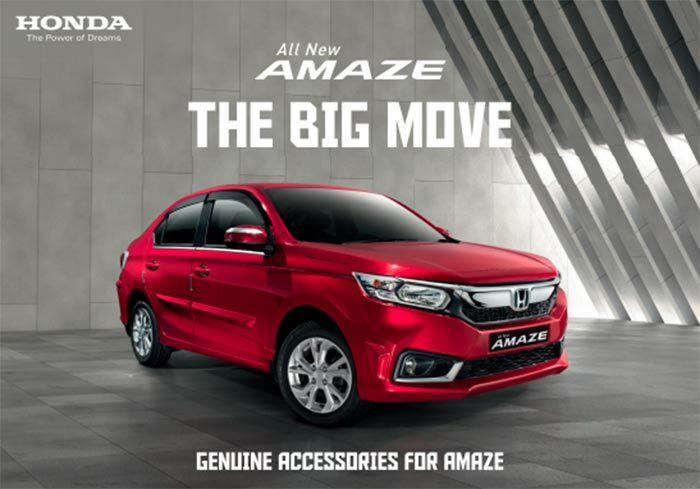 Honda Cars India has now brought in their official custom accessory package for the new Amaze. The full accessories package is listed on Honda’s official website. The 2018 Honda Amaze accessories are offered in 2 different options: Unity and Chrome. These customisation elements from Honda can be fitted by Honda dealerships and owners have the privilege to choose their favorite customization options. The Utility package comprises of side body moulding, door handle protector, bumper protectors up front and rear. This is more of a straightforward option. The Chrome package of Honda Amaze provides a bundle of accessories like adding chrome bits to exterior of the car etc. With this option one customize the chrome door lining, fog lamp garnish, trunk garnish and tail light chrome garnish. The customization options available for Honda Amaze are not as big as that for Maruti Dzire (iCreate) and has limited and decent number of options which could satisfy an Amaze owner’s appetite.